Even for beginners of knitting or crochet, making plush soft cutie toys will be a must try since it requires basic knitting/crochet skills. The easy knit bunny I have featured was a perfect example. 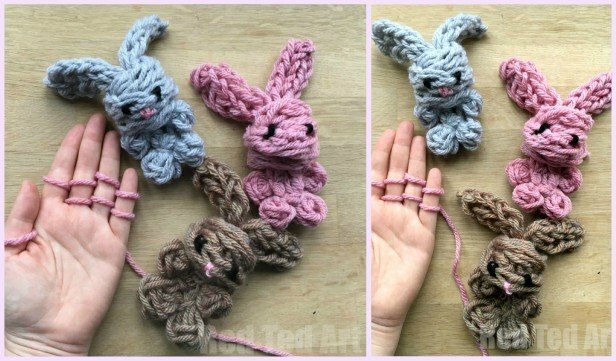 And now I am going to share this fun finger knitting bunny that you can make with your own hands. Never finger knit before, here is the guide: How to DIY Finger Knitting (Video). It’s easy to do finger knitting by wrap yarn around fingers to make strings. This cute bunny from Red Ted Art is a good kids crafts to use two such strings, one long string as bunny ear and body, and the short one wrap around as head. Super easy and quick to make.